Carol Wallace has dedicated her career to serving the legal needs of seniors. Carol practiced many years in Alabama before relocating to Florida in 2008. She is certified as an elder law attorney by the National Elder Law Foundation in 1996. She was the first attorney in Alabama with this distinction. 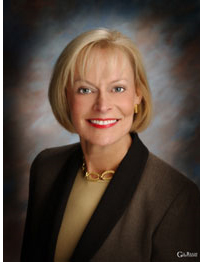 Carol Wallace was a partner in the Elder Law Firm of Glass & Wallace, P.C. with offices in Huntsville and Decatur, Alabama, from 1997 to 2009. That law firm was the first in Alabama dedicated to serving the legal needs of seniors. She is now a partner in The Elder Law Firm of Clements & Wallace, P.L. She practices in the areas of estate planning, wills and trusts, guardianship and probate, and asset protection planning for long-term care. Carol Wallace served on the Board of Directors for the Alzheimer’s Association in Huntsville, Alabama for nine years, and on the Board of Directors for the Mid South Chapter of the Alzheimer’s Association. She is a frequent speaker to senior groups and also to professional associations and attorney’s who serve seniors. Carol Wallace is a member of Alabama State Bar and the Florida Bar. She was a charter member of the Elder Law Section of the Alabama Bar. She is a member of the National Academy of Elder Law Attorneys. She is licensed to practice law in Florida and Alabama.